R. J. Palacio was born and raised in New York City. She attended the High School of Art and Design and the Parsons School of Design, where she majored in illustration with the hopes of someday following in the footsteps of her favorite childhood author-illustrators, Antoine de Saint-Exupéry, Maurice Sendak, and the D'Aulaires. She was a graphic designer and art director for many years before writing Wonder. 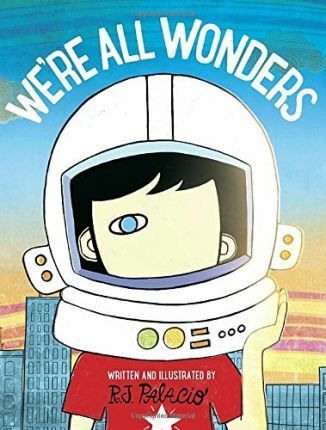 We're All Wonders, which is based conceptually on the themes of her novel, represents the fulfillment of her dream to write and illustrate her own picture book. R.J. is also the author of Auggie & Me: Three Wonder Stories and 365 Days of Wonder: Mr. Browne's Book of Precepts. She lives in Brooklyn, where she is surrounded by magical water towers, with her husband, their two sons, and their two dogs, Bear and Beau. Learn more about her at wonderthebook.com or on Twitter at @RJPalacio.